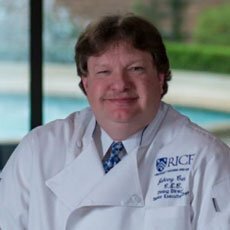 Craig Mombert has been the Executive Chef at Davidson College for the past 14 years. Under Craig’s guidance, Davidson College dining services has transformed into a predominantly scratch kitchen, serving more than 2,000 students and staff members. Craig studies culinary trends and world cuisines, then develops recipes and menus that spotlight world flavors while using available seasonal produce from local farmers and the 3-year-old Farm at Davidson.His experiences in hotels, resorts, restaurants and the college setting have given him an opportunity to see diverse cuisines in a variety of settings. Prior to joining Davidson, Craig worked for Trump Plaza Hotel and Casino in Atlantic City, N.J., Hyatt UN Plaza in New York, N.Y., Cornell University in Ithaca, N.Y., Wintergreen Resort in Wintergreen, Va., and Hilton Charlotte Center City in Charlotte, N.C. Active in the culinary community, Craig is a national member of the American Culinary Federation, on the Program Advisory Committee for the Art Institute of Charlotte, a member of the newly formed Chef’s Council for Foodservice Director Magazine and is part of Premier Inc.’s Culinary Committee that designs concepts and recipes for its members, which include health care, assisted living, colleges and universities, and K–12 facilities. 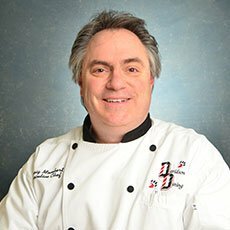 A U.S. Army veteran who was stationed in Karlsruhe, Germany, Craig is a graduate of Alfred State College in Wellsville, N.Y., and a graduate of the Culinary Institute of America in Hyde Park. He is completing studies toward his B.A from the New England Culinary Institute.